Kinellar based Grampian Continental lifted Scotland's Top Road Safety Operator title. Kinellar based Grampian Continental lifted Scotland's Top Road Safety Operator title at the annual Transport News Scottish Rewards presentation ceremony held in Glasgow on Friday 9 November 2018. The popular breakfast celebration, now in its 25th year attracted 600 road haulage industry guests and filled the banqueting suite of the Crowne Plaza Hotel. Grampian Continental have strategic locations in Great Yarmouth, the Netherlands and partners across Europe and into North Africa. Their modern fleet ranges from rapid response vans to vehicles capable of moving 150 tons and innovative modular trailers to handle the most complex loads. Not surprisingly their highly experienced drivers have been trained for all eventualities and they consequently hold the necessary permits for all major destinations. 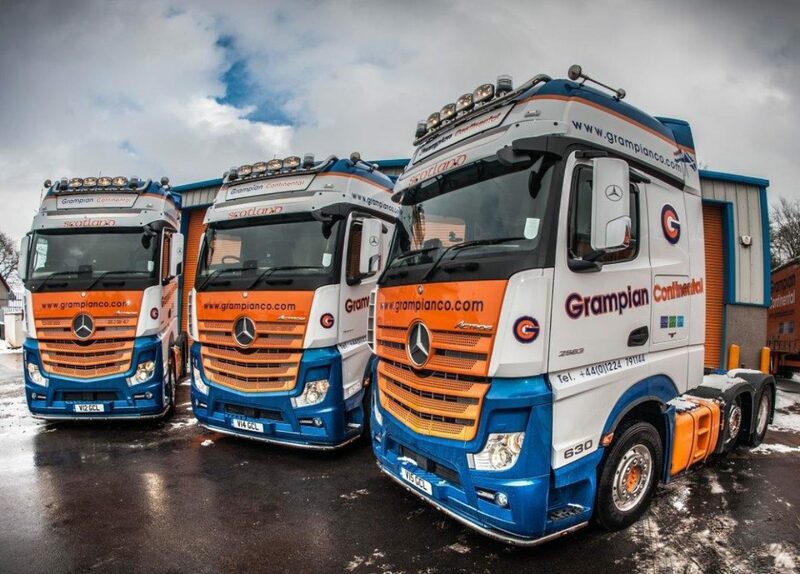 Grampian Continental have both ISO management accreditations and Health & Safety certificates and take their involvement in road safety to new heights.